Some people dream about having $1 billion yet it amounts to what termites eat in a year in the United States. Well, they do not eat the money but rather that is how much damage they cause throughout the country. 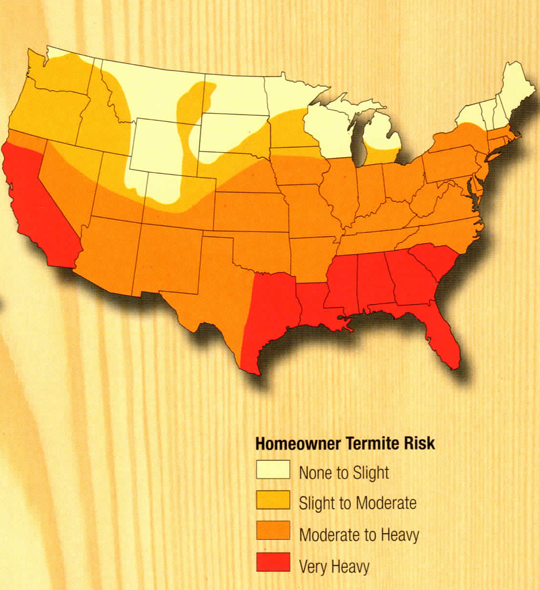 There is no doubt that neglecting a termite issue or failing to see the signs can be detrimental to your property. This is the reason we dedicate ourselves to providing premium services in Kennesaw and its surrounding areas. We are proud to help people with our knowledge and experienced service specialists. We are proud of the team we have assembled. This team is full of experts who understand the intricacies of termite control and prevention. Our specialists have been trained to be sensitive to you, your property, and surroundings. Our technicians will be courteous throughout the entire experience. Every one of our experts are qualified, registered, and experienced. You can count on us to restore your property, whether it is a home or a business. Many of our customers have been more than impressed with our effectiveness and just how easy we made the whole experience. We pride ourselves on providing top notch service, and we stand by our work. The first step in battling this infestation is to find out everything about it. This helps us construct a specific plan of attack for your particular situation. Every infestation is different just like every property, which means that our treatment varies. We will send out one of our experienced professional inspectors to help us scope out your property. The process is very involved and may take some time as details should not be rushed. Your inspector will identify the issue and the scope of the problem. Your inspector will also develop a graph to help us deal with possible entry points. The graph will also give us a guideline that will ensure that we apply treatment in a way that is safe for your property. You will then have the pleasure of meeting your liquid termiticide treatment specialists. This will be a group of two to four termite control technicians who are familiar with your property as they have studied the graph. In essence, our team will use sub-slab injectors to apply the termiticide under the foundation of your home or establishment. It should be noted that we do use Termidor 80wg, which is one of the most effective termiticides available. It has been our goal to only give the very best to our customers. We know that the application of a termiticide involves the injection of over one hundred gallons of this solution, which could destabilize the foundation of a home or business if done by an untrained person. You can be sure that you are going to get a specialist who knows how to handle this equipment and how to care for your property, too. We are firm believers that experience matters. Our team will be using other tools like foam machines and masonry drills though there are many others. The product is meant to create a border that should keep these insects away from your property for at least 10 years. Of course, we do not leave anything to chance and offer yearly inspections to make sure that the issue does not resurrect, but we are sure that it will not. We service all of Kennesaw and nearby counties. Be sure to give us a call, and we will answer any of your questions. We are here to tell you about the services we offer, and we are here to help. At the center of every termite colony, there is at least one king and one queen. The queen, whose sole purpose is to reproduce, can live up to 30 years. Queens can lay thousands of eggs, which hatch into nymphs, every year. Termites separate into different castes - workers, soldiers, reproductive, and supplementary reproductive - while still in the nymph state. Workers, which are blind and wingless, make up the largest caste and have a higher chance of being found in infested wood. As a worker, they complete a variety of tasks including building and repairing, foraging for food, and caring for other workers. 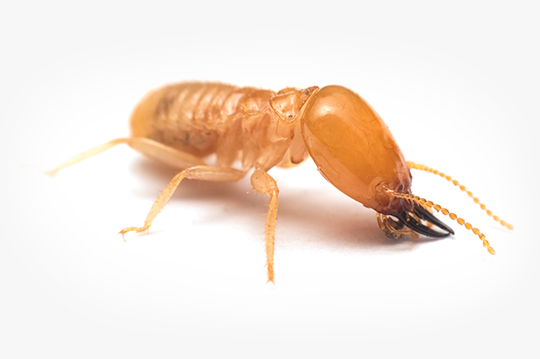 Soldier termites are wingless, sterile, and blind and exist only to defend the colony. Winged reproductives eventually leave the colony as swarmers. After swarming, they shed their wings and pair up in male-female pairs and attempt to start a new colony. Supplementary reproductives serve two roles: help increase the population in established colonies and replace the king or queen if they die.